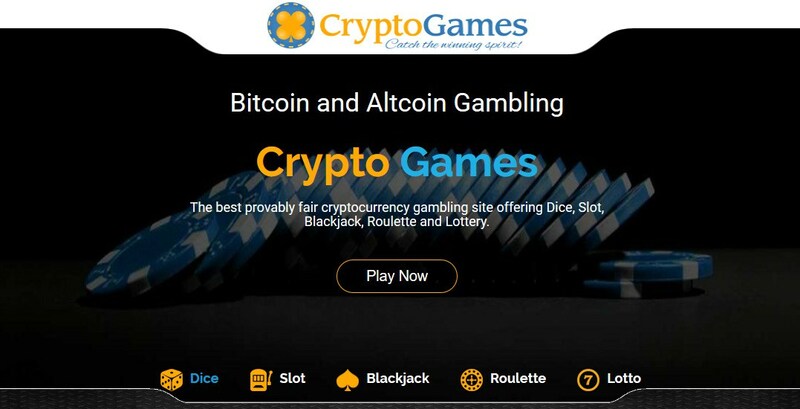 Crypto Games is a cryptocurrency wagering platform that supports a multitude of different digital currencies. The interface is very clean and laid out in a way that makes it easy to understand and very user friendly. They are using a tabbed style layout, which keeps everything on the same page and navigation is simple, making a tab available for almost all of the options for getting around within the site. 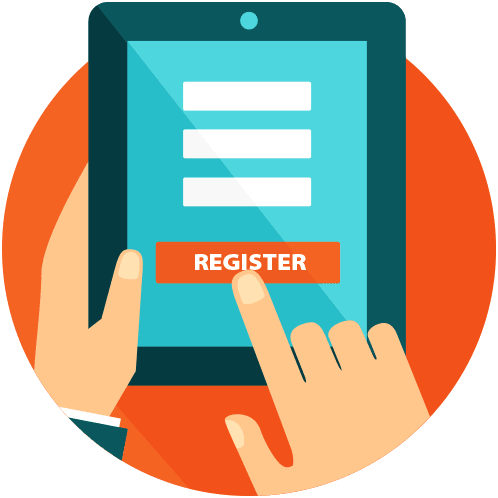 To begin using the platform, you do not even need to create an account first. When you want to deposit funds and begin storing your wallet balances on the platform, creating an account is as simple as entering in your email address and creating a password to use for your account. Each of the different games offers an automated betting bot to make all of your wagering streamlined and more efficient. They also have a tab which lists the instructions and rules for each and every game and they also have a tab with the provably fair information. 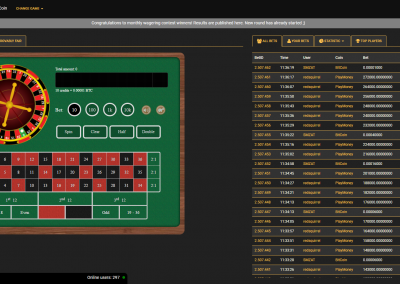 The manual betting boxes are large and easy to understand and the statistics area is packed full of relevant information that can be customized to fit your personal preferences. For those that do not want to dive head first into online wagering, they offer a currency called Play Money which lets you play with their version of Monopoly Money. You can use an unlimited amount of this play money to wager and get the practice and experience you need to feel more comfortable before depositing and gambling real money. All games use credits, which they display the conversion based on the currency you are using at the time right on the games page. 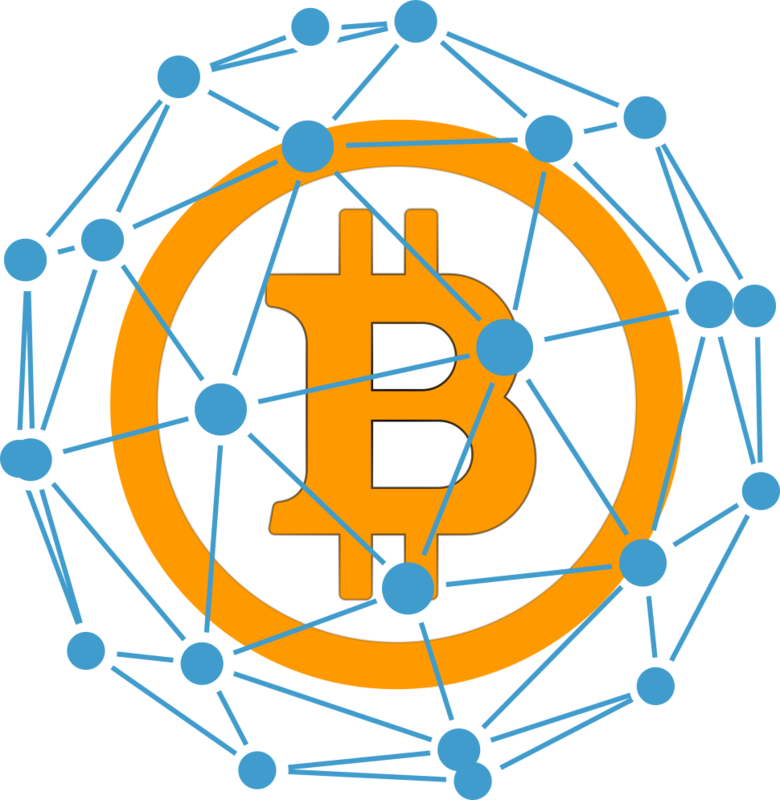 Get 0.00005 BTC every 3 minutes Free! Invest as little as .01 BTC and take a share of the house profits. Works only using this link! Dice has become very popular and crypto-games.net offers one of the oldest that can be found online. It is a simple dice game where you choose whether the roll will be over 50.399 or under 49.600, place your bet, set your win-chance level and payout multiplier and roll away. Crypto Games slot machine is a simple 1 line slot that offers 7 possible winning combinations. The winning combination possibilities are displayed right on the screen. Set your bet size and spin. You can choose to auto spin and automate the whole process, as well as choose to have it play slow or fast. The roulette wheel offers the same options that casinos offer; red/black, odd/even, number ranges and individual numbers. You can choose bet sizes and doubling options right on the graphical game area. The graphical interface allows you to watch the ball in action. The video poker game is set-up so that you choose your poker mode. You can choose from ‘Jacks or Better’, ‘Bonus Poker’ or ‘Tens or Better’. Then place your bet and hit deal. Play Texas Hold ’em following the rules you know, or cheat and read their rules above the game area. Blackjack on crypto games is a simple, one hand, player vs dealer system. The rules are standard and you an read them right from the tab above the playing area. They offer the same options as you would find in any casino; you ca hit, stand, double down & split. They do not have insurance, so you must hope the dealer does not get that face card! All ties are considered a draw and do not go to the house, however if you bust the dealer will still draw and if they bust, you still lose. The lottery games are the only games on crypto-games.net that you cannot play in any of the supported currencies. They only offer the lotto in Bitcoin, Ethereum or Dogecoin, but exchanging your currency for one of those is easy, so the lottery is available no matter the currency you utilize. Simply buy some tickets from the Lotto page and wait for the drawings, which happen twice a week. 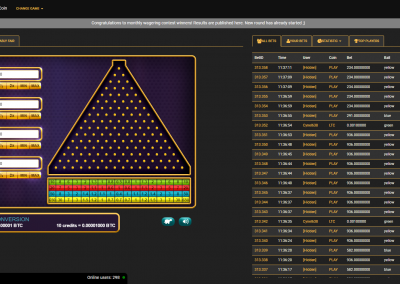 Plinko, the game that everyone loves is just as lovable and fun at Crypto-Games.net. Drop the disc into the playing area full of pegs and watch it bounce its way down to determine your fortune. Crypto-Games.net has Plinko waiting for you to place your bet. Each currency has its own wallet and your account gives you the ability to generate new wallet addresses as much as you need to. The old wallet addresses are forever associated with your account, so you can reuse them whenever you need to without fear that the funds will not make it to you. Crypto games allows you to exchange between currencies right on their website. This makes it very simple to switch between currencies at will and without high fees. They list the exchange rates between all the possible currency pairs so that there is no confusion about what amounts you will receive. Get Free Spins & More Here! 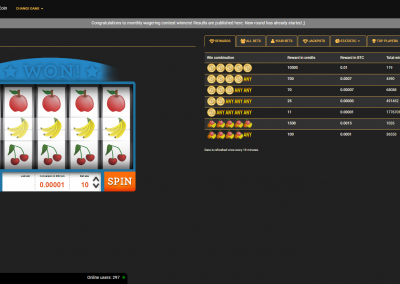 Crypto-Games.net has proven to be a legitimate, fair and trustworthy Bitcoin wagering platform. They have helped to innovate the technology and practices that have become the standard in the digital currency wagering industry. 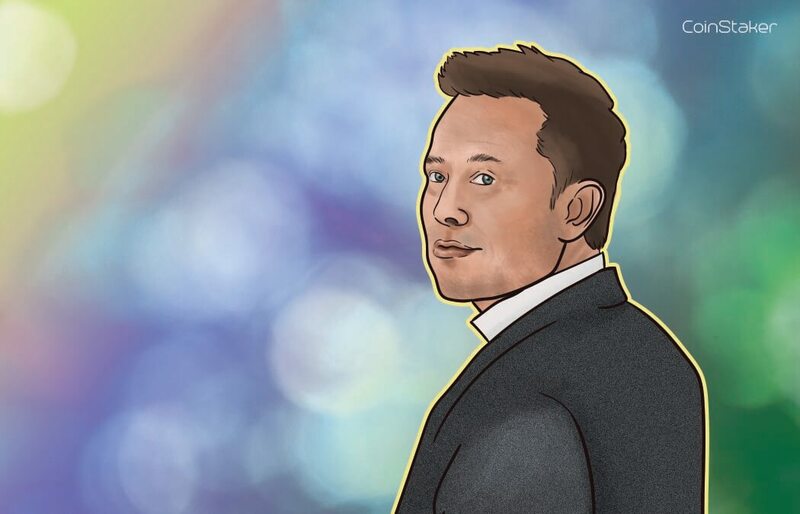 They are always continuing to provide new and exciting features that entertain, excite and help to make bitcoin and other digital currencies more mainstream. Crypto-Games.net offers all users from Coinstaker a special bonus. Sign up for their site to claim some free lottery tickets. Dogecoin and Ethereum lottery tickets are free for all new players that come from Coinstaker, so get your free tickets before the promotion ends. Use the links on this page to ensure you get credited your free tickets. 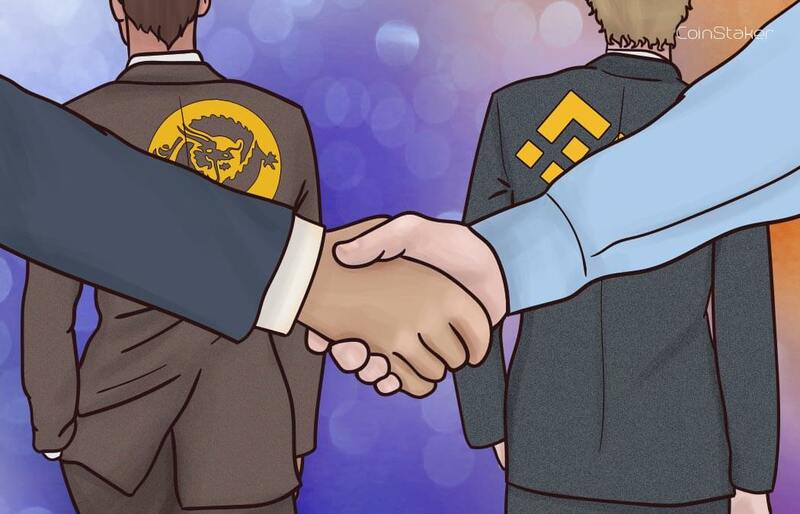 There are plenty of bonuses and rewards to be had at Crypto Games. They have faucets for each of the currencies that allows you to get free coins once every 3 minutes. As you play more, you earn higher faucet levels which allows you to get more coins out of the faucets at a quicker interval. They also have the lottery game and contests which award you free lotto tickets. There are plenty of free offers and chances to win to make Crypto-Games.net a very enticing wagering platform. The faucets allow you to get a small amount of free coins once every three minutes when your balance is below the minimum bet size for wagering in any of the games. You are only allowed to request a faucet once every three minutes in any currency and are limited to the number of requests you can have in a 24-hour period. Your faucet level goes up with the more you play and as your level rises, so does your request limits. 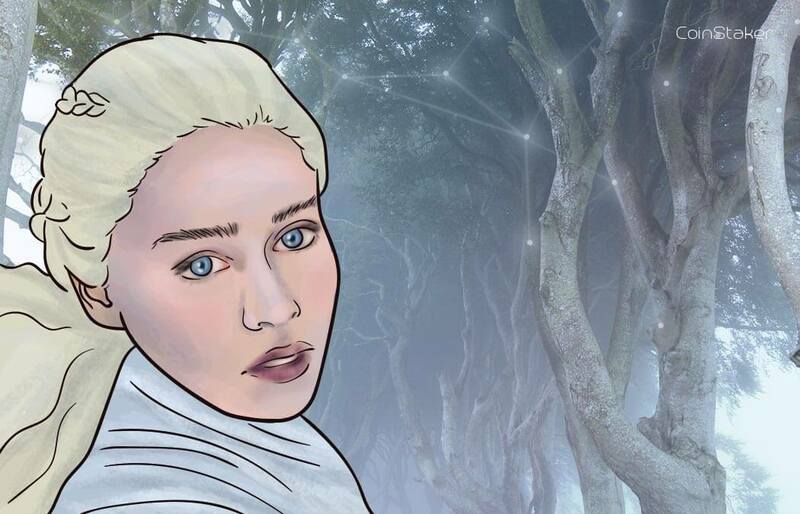 The regular monthly contest is for the top winners on the platform. Crypto Games awards the top winners with free tickets for the lottery drawings. Lottery drawings are held twice a week and feature a variable prize pool amount based upon the number of lottery entrants. They also offer other contests and the info on any currently running contests can be found on the contests tab or on their blog. Crypto games has a nicely set-up affiliate program that gives you a chance to earn 25% of the house edge on every bet placed by your referral. They have your referral link posted right on the tab, along with links to the promo banners you can use. 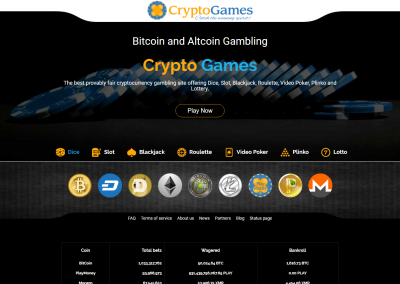 Each of the games on Crypto-Games.net has a tab above the play area with the provably fair information. This info will explain the hashing methods they use to ensure fair game play is being upheld. The hash and other info is available for you to inspect at any time you wish. Crtypto-Games.net allows you to invest into their platform to have a chance at earning a profit. Your investment is directly related to the houses earnings and can net you a nice bit of change. Be careful though, if you invest and then someone goes on a hot streak, you could lose it all too. They offer a ton of statistics so you can choose when you feel the best time to invest is and the amounts you can feel comfortable investing. 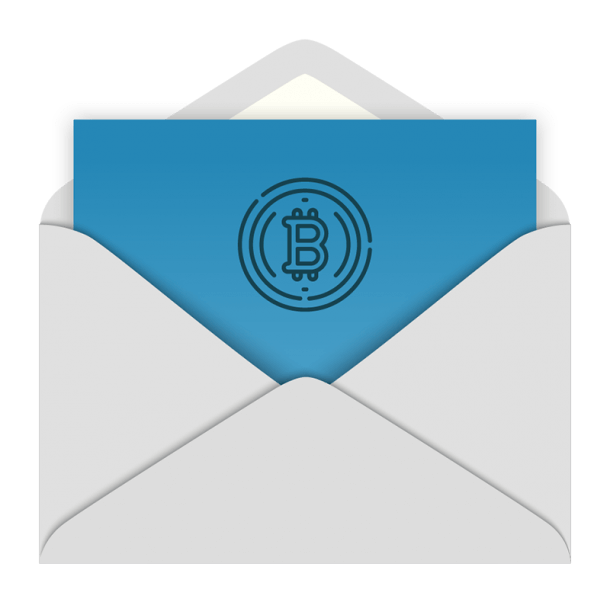 To contact Crypto-Games.net, you can send them an email at [email protected] or you can find their thread on bitcointalk.org. 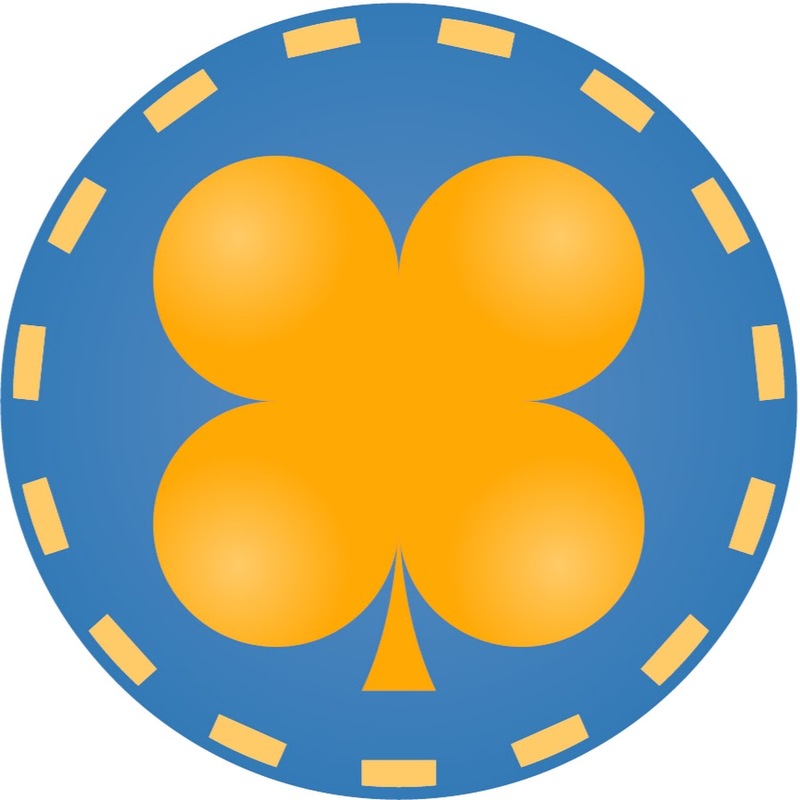 They have been in business since May of 2014 and have continued to grow and help innovate the digital currency wagering industry with their games and methods.